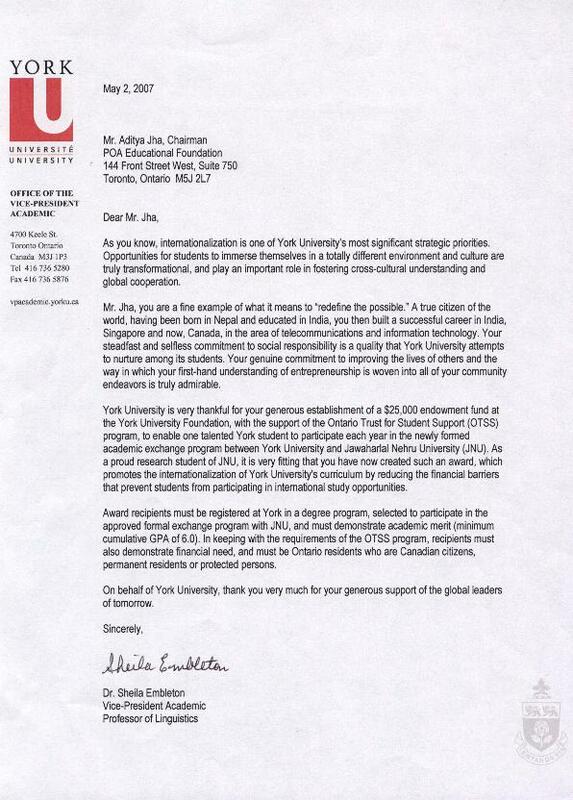 As you know, internationalization is one of York University’s most significant strategic priorities. Opportunities for students to immerse themselves in a totally different environment and culture are truly transformational, and play an important role in fostering cross-cultural understanding and global co-operation. Mr. Jha, you are a fine example of what it means to “redefine the possible.” A true citizen of the world, having been born in Nepal and educated in India, you then built a successful career in India, Singapore and now, Canada, in the area of telecommunications and information technology. Your steadfast and selfless commitment to social responsibility is a quality that York University attempts to nurture among its students. Your genuine commitment to improving the lives of others and the way in which your first-hand understanding of entrepreneurship is woven into all your community endeavours is truly admirable. York University is very thankful for your generous establishment of a $25,000 endowment fund at the York University Foundation, with the support of the Ontario Trust for Student Support (OTSS) program, to enable one talented York student to participate each year in the newly formed academic exchange program between York University and JNU. As a proud research student of JNU, it is very fitting that you have now created such an award, which promotes the internationalization of York University’s curriculum by reducing the financial barriers that prevent students from participating in international study opportunities. Award recipients must be registered at York in a degree program and selected to participate in the approved formal exchange program with Jawaharlal Nehru University. Recipients must also demonstrate academic merit (minimum cumulative GPA of 6.0), financial need, and must be Ontario residents who are Canadian citizens, permanent residents or protected persons. 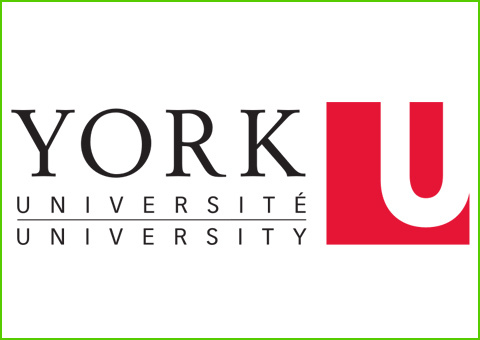 On behalf of York University, thank you very much for your generous support of the global leaders of tomorrow.